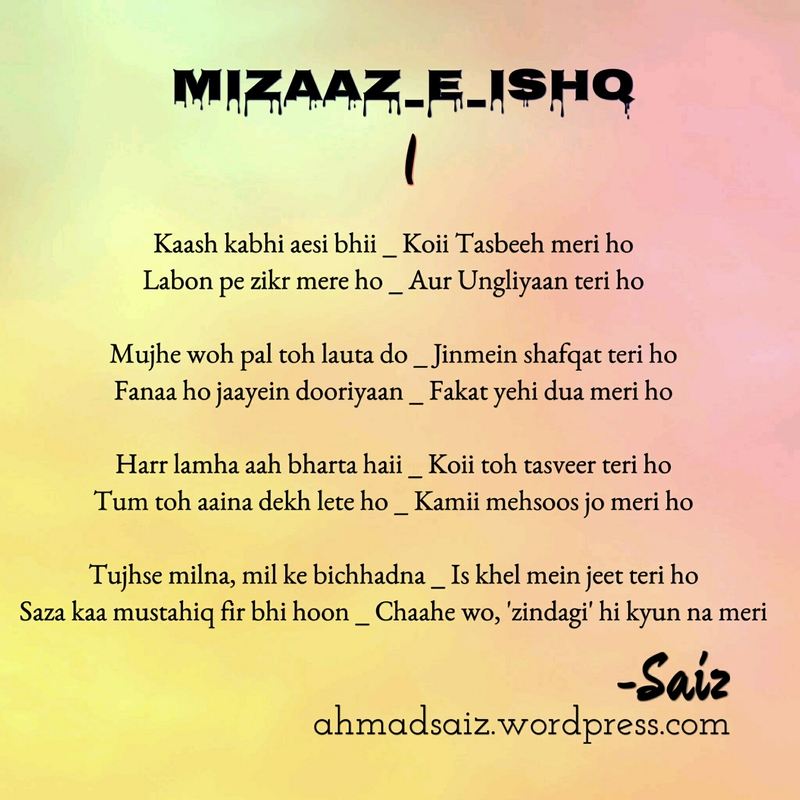 Mizaaj e Ishq: #1. ~Kaash kabhi aesi bhi…~ – I'm Here; Right Here. So, this comes off, not really as a supplement to my Strangely Friends Friendly Strangers. But, not of much dissent rather. Before I get you held in my mysterious stranded words, lemme just get back to what I am intent to do. That was gooood! Uff yar I wish I could write Urdu poetry I swear whenever I read Urdu poetry the beauty of the language itself astounds me. Urdu is one such language that has clutches you want to stay in. Iy gives an ethereal feeling. I am really glad that you loved it. alhumdulilah vry beutiful but I do hv doubt bro… no doubt starting lines are mesmerizing. But isn’t it wrong to say or read tasbeeh of some other person except Allah or Prophet Muhammed saaw. I know your intentions are not wrong or may be I could also be wrong. You misinterpreted the context sister. I actually meant that the way we do zikr upon our fingers,, in the same way the husband does the zikr of Allah and His Messenger , but upon her wife’s fingers. (counting upon her wife’s fingers. 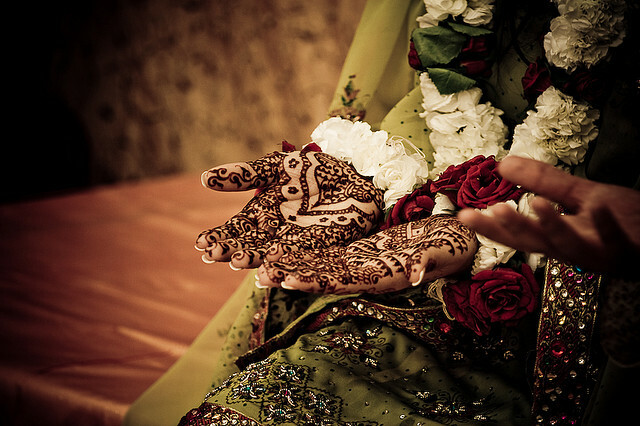 ohh subhan allah…nice…very nice. I thought tasbeeh of wife’s name in her finger..loll. aapne toh kufr soch liya mujhse…. Don’t know Urdu? Are you kidding me? Anyway, you should have read the English part side by side to get the actual meaning. ehhee…that’s why I told you to do so.. The translation is not just to convey the meaning, but its a poetry in its own way. The thing is it just gets shadowed by the scintillation of Urdu scripts. Thanks a lot for letting me know that you felt it. Means a lot. Waah. Bahut khoobsoorati se likha hai aapne. Aapki poetry main kuch dino se parh raha hoon. Bahut achcha likhte hain aap. This. Is. Intihai. Khoobsurat. Yes I had to switch to Urdu in order to describe my response. Uff. Wow. I had to be like wow. Wait for more. That’s urging me to write more. But, definitely worrying me in the cause of writing better every other time. That’s the thing about writing. Right? That was extensively inspiring. Thanks a ton. Shall imply upon it.